We are about to witness a “serious violation” of the constitution and a “coup d’etat.” Those, the words from suspended Brazilian president Dilma Rousseff, who has been defending herself before the Senate in her impeachment trial. She said her conservative opponents are using trumped-up charges to oust her and the future of the country is at stake. 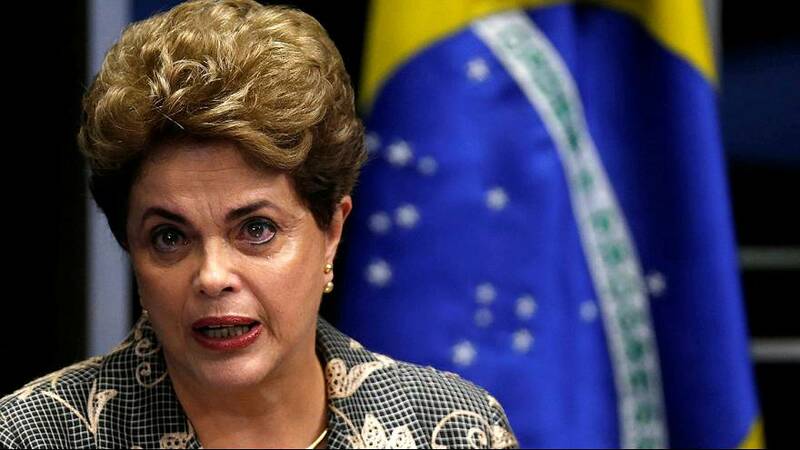 Rousseff denies allegations of breaking budgetary rules. “I ask you to act justly towards me, an honest president who never committed any illegal act in my personal life or in my public functions,” Rousseff said during her testimony. The leftist leader warned that a conservative government would slash social spending and said Brazil’s elite had set its sights on destabilising her government to protect their own interests. Rousseff said: “Today, once again, the people who voted for me are having their wishes hurt. Our democracy is being put at risk of rupturing to protect the interests of the economic and political elite. Several hundred people chanted in support of Rousseff as she gave her testimony. But it seems the odds are stacked against her, with the proceedings expected to oust her. If Rousseff does go, interim president Michel Temer, 75, will be sworn in to take over the rest of her presidential term – through to 2018. Rousseff is expected to learn her fate by Wednesday this week.